A thousand ‘Beacons of Light’ will be lit on Sunday November 11 across the UK, a century after the guns of World War One fell silent. Flintshire joins a nationwide day of commemoration marking the centenary of the end of the First World War. Tributes will be paid to the millions killed or wounded in battle, and those on the home front who struggled amidst pain and loss to help ensure freedom survived. Beacons will be lit along the Flintshire coast and in Hope’s Waun y Llyn Country Park to symbolise an end to the darkness of war and a return to the light of peace. At 7.05 p.m. the church bells at St. Deiniol’s and St. Mary’s Church in Hawarden will ring out along with other churches across Flintshire and the UK. Members of the community are invited to attend the beacon lighting ceremonies in Flintshire which begin from 6.30pm, beacons will be lit at 7pm. “As Flintshire joins the rest of the nation in this commemorative event, it is an opportunity to bring the community together to our outdoor spaces to remember those involved during the war 100 years ago. Town and Community Council Events. 11 November: Argoed Community Council will be commemorating the centenary by erecting its first Memorial to the fallen in its Memorial garden Chambers Lane, Mynydd Isa. A service and Eucharist will be at 10.45am followed by the unveiling of the memorial. 11 November: following the annual Service of Remembrance which starts at 10 a.m. in the Civic Centre, Connah’s Quay, there will be short service to remember Henry Weale V.C. and unveil the commemorative stones dedicated to him. This will start at approximately 11.30 a.m. at the bridge on the corner of Brooke Road, Shotton. The Royal Welch Fusiliers will also display Henry Weale’s medal. 12 November: Festival of Life and Thank You event to be held at the Connah’s Quay memorial. Poppies will be laid at the memorial, each with the name of 22 people whose names are missing from the memorial. 9 November: Gwernaffield and Pantymwyn Community Council will be holding a WW1 Centenary Event on Friday 9 November 2018 at Gwernaffield Village Hall from 6pm. The evening will include projection of images and photographs, readings, last post, music from the Gwernaffield Silver Band and refreshments for the community. 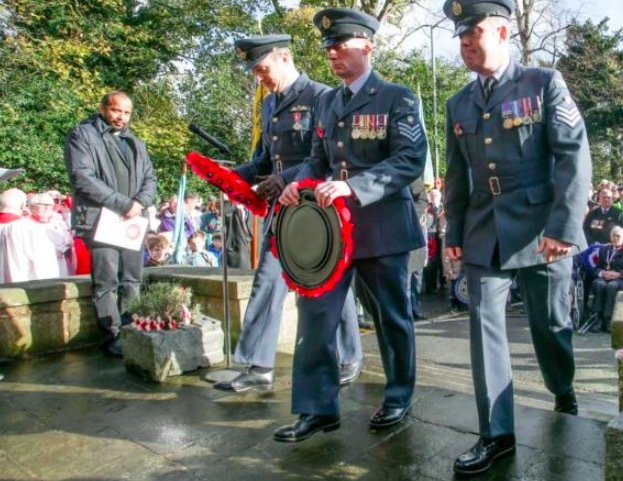 11 November: The Community Councils are jointly preparing for the annual remembrance parade in partnership with the Royal British Legion, local, Churches, cadet, scouts and brownies organisations together with local schools and clubs etc. Hawarden Community Council and Broughton and Bretton Community Council will also be taking part in the “Battle’s Over – A Nation’s Tribute” on 11th November 2018 which marks 100 years of remembrance. This is a national tribute and at 6.55 p.m. the Last Post will be played locally and across the country. At 7.00 p.m. World War II Beacons will be lit across the nation and at 7.05 p.m. the Church Bells at St. Deiniol’s and St. Mary’s Church will ring out along with other churches across the nation. Following the formal ceremony where the Lord Lieutenant of Clwyd, Mr Harry Fetherstonhaugh will be in attendance along with Lord and Lady Barry Jones, the Chairs of the respective community councils and local dignitaries and representatives from the Royal British Legion, Cadets and school. 11 November: There is a WW1 commemoration event happening in Tower Gardens, High Street, and Holywell on the afternoon of Sunday 11th November after the traditional services and parade have taken place. 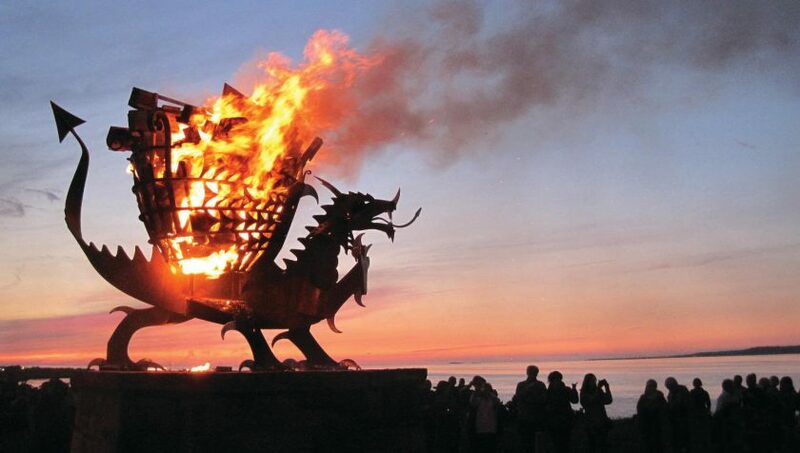 11 November: Waun y Llyn for 11th November a beacon will be lit which is being specially made (approx. 1.5m x 1m) and have a band, school choirs, male voice choir, speakers and maybe a marquee with refreshments involving the local communities round Hope Mountain. 11 November: Remembrance day parade around the village followed by the service in the Institute on Sunday 11th November that starts at 2-00 (time to be confirmed). Penyffordd War Memorial Institute 9 November: A 100 year concert being held in the Institute on Friday on 9th November starting at 7-00. 10-11 November: Two day Remembrance Weekend Exhibition and Unveiling of the Sealand Poppy Cascade – an illustrated display of information and artefacts that show the role which Sealand played in the Great War and remembering the fallen of this Community who gave their lives for our future. Open 10am – 4pm daily. 10 November: Candlelit Vigil: 6pm – a candlelit Service to remember the fallen of this Community who lost their lives in the Great War. 11 November: 10.30am: Civic Service of Remembrance – a Service of Remembrance for the fallen of Sealand and Queensferry, followed by a civic reception.